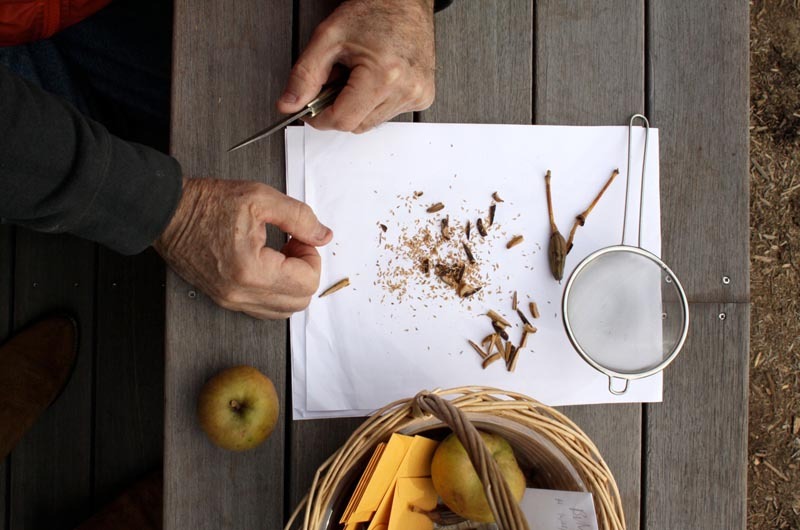 Peter Norris separates his rhododendron seed from the pod Sunday at the seed saving workshop. The Yellow Arikara bean is a delicate, tan bean that produces early in the season. It originated with the Arikara nation of the Dakota territory, where Lewis and Clark fancied it enough to take it on their expedition. They eventually shared it with Thomas Jefferson. The bean has been continuously grown in the gardens at Monticello for 200 years--and for one year at the Martha’s Vineyard Public Charter School. Sam Greene, the school’s co-coordinator for Island Grown Schools, received some of these beans from Monticello, grew them with her students, dried the best pods, and collected the dried beans this fall. 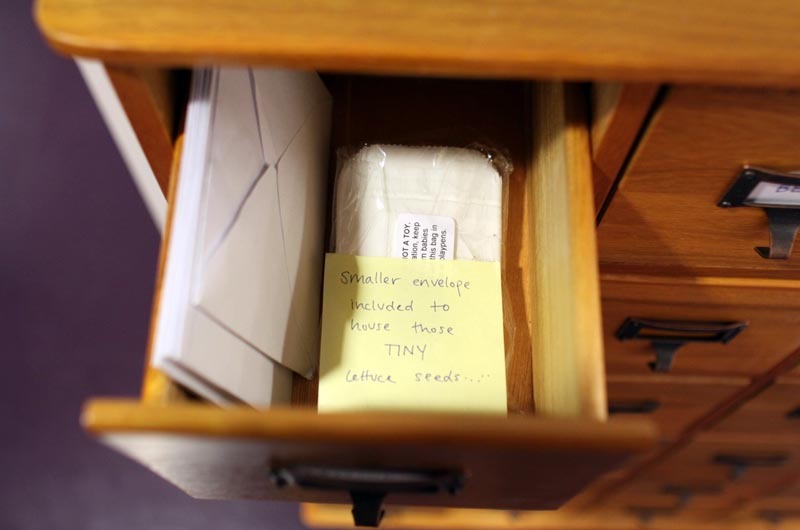 On Sunday outside of the West Tisbury library, she sealed the beans and their hand-written story into an envelope for storage in the Martha’s Vineyard Community Seed Library. 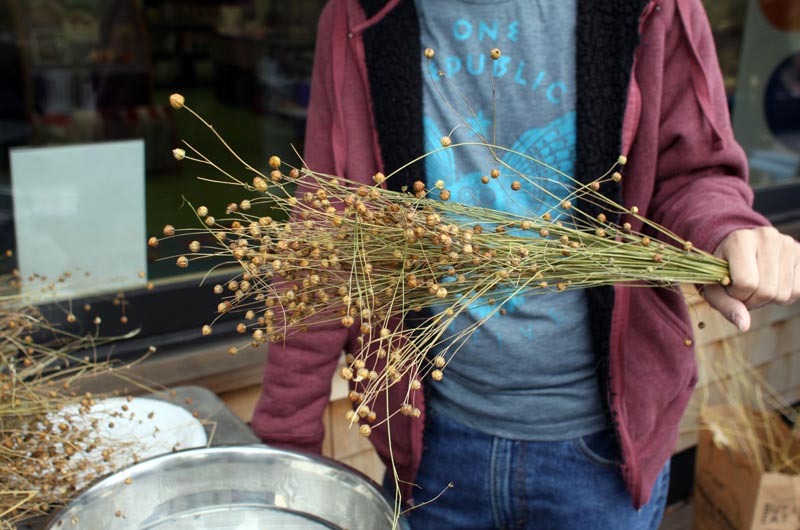 The seed library, a collaboration between the West Tisbury library, IGS, and the Farm Institute, hosted a seed saving workshop on Sunday in which Islanders could learn how to process the seeds of beans, lettuce and tomatoes, as well as donate seeds from their own gardens. Sharing growing tips or recipes is part of the fun of seed saving in a community, said IGS school coordinator Claire Lafave. Charter school student Astrid Tilton, 16, was one of three high school students who helped lead the workshop. Martha’s Vineyard Regional High School student Devon Teves, 14, manned the threshing station, where he processed flax seed. He took thick handfuls of golden stalks and whacked the small, round ends into a bucket. He swirled and smashed the seed heads with his shoes until they all came loose. Then he poured what was left onto a screen which he swished around in order for the seed to fall through. At another table, charter school student Lily Tilton, 14, helped pick and sort colorful beans out of crispy pods: clunky, purple beans with black centers and spots; delicate, pearly white beans; cranberry beans that look just like their namesake; fat fava beans. 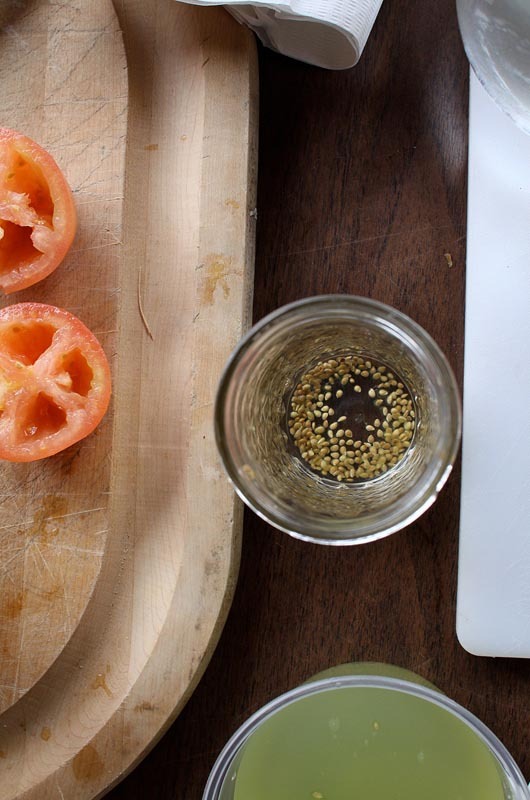 And on the porch, Rebecca Sanders, garden manager at the Farm Institute, demonstrated tomato seed fermentation, a necessary and often smelly process that enables the seed to store without sprouting or molding. Nearby, participant Laurisa Rich prepared an envelope for her basil seeds, which grew prolifically in her garden this summer. She carried a basil tincture and a piece of the plant with her, just in case anybody wanted to take a whiff. “May I smell, please?” asked Jonah Maidoff, social science teacher at the charter school, who donated Tic-Tac shaped green bean seeds from his Haricot Verts variety. After all the seeds were processed, sorted and labeled, Ms. Lafave gathered the remaining group to tip-toe downstairs to the seed library’s home – a wooden card catalogue cabinet. She filed the seeds in the top four drawers of the cabinet and set out sign-up sheets and seed envelopes for newcomers, asking that all who take seeds bring back seeds. By next fall, she hopes, some of the empty drawers will be filled. The seed library, like the library in which it sits, will quietly share its resources with strangers and friends alike. But a book cannot multiply into hundreds of books. A seed will create more seeds. These seed exchange sources are being placed in hundreds of libraries across America and other countries - LOOK OUT MONSANTO!